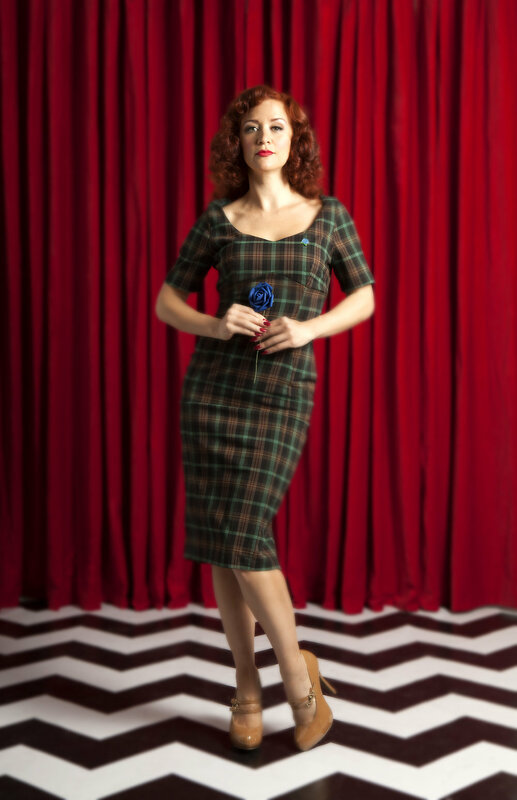 Twin Peaks is back and so is Twin Peaks Chic! If you watched The Return and tried to explain it to your co-workers who haven’t seen it, it would sound like you’ve been snacking on some of the local mushrooms. But they wouldn’t mind if you looked as stunning & demure as Varla Velour here in Laura Byrnes California Sabrina Dress in Mushroom Pink Plaid from Pinup Girl Clothing! Varla is the Voluptuous Vixen of Burlesque and when she is not gallivanting on the red carpet in Hollywood she is just your ordinary average small town, burlesque-dancing, Canadian Jewtina!